You text your friends. You text your family. But have you tried texting your clients, prospects, or vendors? Text marketing and bulk texting are tools you may not have considered to increase your sales, build your list and make your business run better. 1. Promote Your Business Via Text – Got a big sale, a great offer, or big event coming up? Texting is an easy and cost-effective way to let thousands of contacts know about it quickly. Promoting your business via text keeps your business top-of-mind and can help boost your bottom line. 2. Remind Vendors/Customers About Bills – Don't waste time making phone calls or sending emails to ensure your bills get paid! 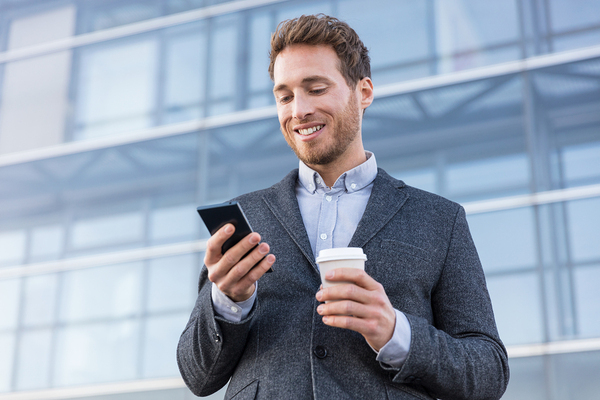 Schedule automated texts to remind vendors and customers that it's time to pay up. 3. Communicate with Employees – Whether there's a road hazard, a shift change, or any other urgent alert, texting is the best way to do it fast. With a 98% open rate, it's also the best way to be sure your message gets seen. Texting is a great way to serve and engage customers and grow your business. Think about how you can save time, effort and money by using texting. Ready to give it a try? Get started for free! 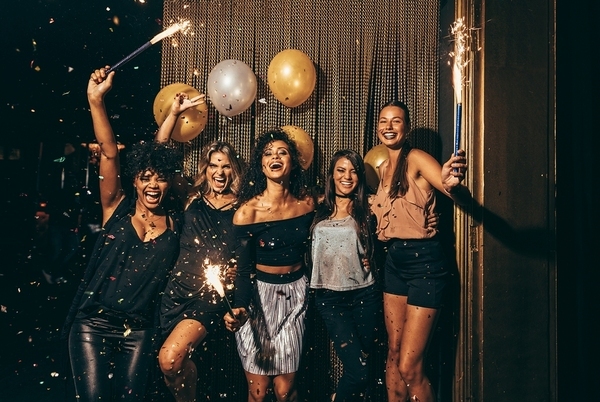 New Year's Eve provides a great opportunity for nightclubs to host a perfect event. Instead of promoting your parties and special events through traditional advertising, this is the year to integrate other marketing options, such as SMS marketing, to amplify your efforts and achieve a better return. Unsure why or how to take advantage of text message marketing? Read on to find out more. Text messages have a much higher open rate than emails. This increases the chance that your audience sees the promotions and takes advantage of them. SMS marketing is an opt-in channel, which means you reach an already-engaged audience. It is much easier to engage an audience who already has visited your club and wishes to come again than it is to connect with a brand new person. 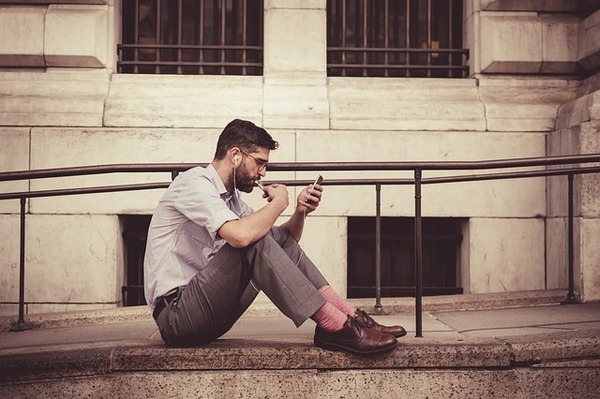 The biggest advantage of text message marketing? Most people open and respond to text messages within 90 seconds. This makes it possible to send out last minute messages to promote events. If you do not have the attendance you hoped for, send out a promotional text to encourage people to come at the last minute. The value of text message marketing does not end with sending promotional texts to your subscribers. It also complements your other marketing efforts to amplify your promotion. The best way to do this? Integrate your channels and cross-promote. For example, promote your events through email marketing and print advertising months in advance. Create buzz through your social media platforms and get people talking through word of mouth. 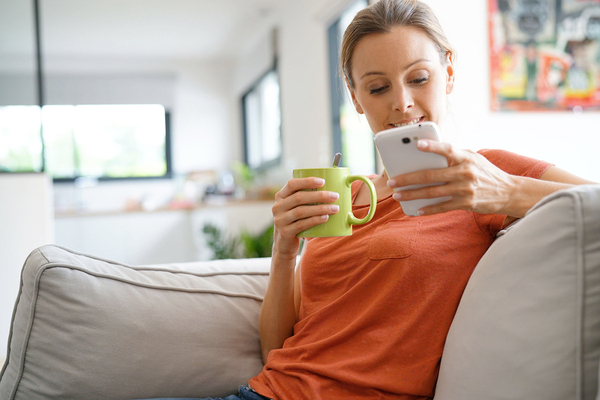 Use your texting campaign as a call to action on your other marketing channels, especially on print ads and radio and TV spots. Then, send out a text message the day before the event to remind people of the event. Include an exclusive deal or VIP access to motivate your most loyal customers to attend the event. As with any marketing channel, it is important to take a moment to create a strong strategy for your SMS marketing campaign. Write impactful content that imparts your message while incentivizes the recipient to respond in the way you want. Integrate it with a purpose to your other channels through cross-promotion and texting calls to action. Most importantly, create something of value that remains relevant to your subscribers. SMS marketing will help you amplify your promotions and reach your goals. Ready to get started? Then try ClubTexting for free. How well do you keep up with the latest changes in marketing? If you want to have a fresh and engaging brand, it is essential that you remain on top of marketing trends. Here are four you should be watching right now. Email marketing is not dead. In fact, some companies are reviving their newsletters and other email marketing tools. Social media algorithms have changed, making it harder for brands to have control over which of their followers see their posts. As a result, social media marketing has lost some of its luster; instead, they prefer email marketing thanks to its direct route to consumers. To take it even further, consider implementing a text message marketing campaign. It gives you the control of what content your users see. Unlike email marketing, which has about a 30 percent open rate, texting has an almost 100 percent open rate. Consumers often make decisions based on their emotions and experience with a company rather than price and other objective factors. This is especially true for millennial consumers, which is why branding and customer engagement have become so important in marketing. Expect these factors to become even more important in the coming years. Focus on creating an authentic brand and make the customer experience a priority. At the end of 2016, more consumers used mobile devices to access the internet than desktop computers. To further emphasize the importance of mobile, Google is ushering in a mobile-first index. This prioritizes the web version of a company's web page rather than the desktop for SEO ranking purposes. This makes having a mobile marketing campaign that much more important. Chatbots and artificial intelligence continue to drive the future of marketing. More and more businesses are implementing chatbots so they can provide 24/7 service for customers without needing to hire additional employees. Chatbots and AI also will alter the way in which people search for things. As more and more people adopt devices like Siri, Alexa, Google Home, they are relying on voice search more frequently. This changes the way in which they receive the information as well. As such, businesses will need to aggregate their information to ensure that their website and company information is found in these type of searches in the same way as traditional website searches. Paying attention to marketing trends can help you stay ahead of your competition and provide better service to your customers. Interested in learning more about you how can improve the customer experience? Text message marketing can have a big impact. Contact us to learn more about the great ways that text message marketing can help your business grow. The last thing you want is to have an empty dance floor at your club. Not only does this affect your income for the night; it also could impact your reputation. When you look at ticket sales and see that you might have a slow night, there are a few last-minute marketing strategies that you can use to increase attendance. Target messages to those who have attended events in the past to generate interest. One of the best ways to generate more interest for your event (even at the last minute) is to target the invitations. At this point, you have likely sent out information to your text marketing subscribers, and you have probably promoted the event through other marketing channels. Rather than continue to try to reach a wide audience, focus on those who will most likely want to attend. Send text messages to those who have come to similar events in the past. Run paid campaigns that target a specific audience based on demographics. Customize the message to appeal to the select audience to increase the efficacy of your campaign. To get people to your event, you need to build interest and hype. Making it feel as though tickets are scarce is one way to build hype, but it's sometimes not enough. It is also beneficial to start a thread on social media and get your followers to join in the discussion. Choose a hashtag to start trending on Instagram and Twitter. Ask your Facebook followers to share the event with their friends. As people see their friends posting about it, they become interested in learning what all they hype is about. Motivate your subscribers to text their friends to join them through offering a reward for doing so. You can also similarly leverage your text marketing program. Ask your subscribers to share your texts with their friends and offer a special discount or reward if they bring friends to the event. When you run last minute event promotions, focus on the platforms that allow for immediate responses. Text marketing is one of the best marketing channels for last minute promotions; people typically read and respond within seconds. In fact, texts have a 98 percent open rate, while email only has an (approximately) 22 percent open rate. You may also drum up some last-minute interest by promoting your event on social media. Ready to start with text marketing for your business? Contact us and boost your attendance even at the last minute. When an emergency occurs that could impact your business; it is essential to get the word out to your customers and employees. Whether a tornado is touching down in your area or a chemical spill has occurred on your business property, keeping everyone informed will help to keep them safe. One of the best ways to do this is through your text message marketing program. Text messages are an effective way to alert your subscribers when an emergency occurs. There are many reasons that more and more businesses and organizations are turning to text message marketing for emergency alerts. It is easy to use, and you can send the alerts right from your phone. This means you do not have to worry about having access to a computer when an emergency arises. You can also target who receives your text messages. Perhaps you want to alert just those who have RSVP'ed to an event or those who are within a certain geographical area. Text messages have a high open rate, and they are sent and received immediately. This ensures that people actually read the messages promptly. As a business or organization, it is important to keep your people safe and well-informed. These are examples of situations for which you need to send out emergency alerts for your business or organization. Many situations might lead to a last-minute cancellation, including illness, injury, or emergency. For example, a yoga studio whose instructor comes down with the flu needs to alert their students right away that classes are canceled. A little league baseball team will need to let parents know if games are canceled or delayed due to rain. Schools, clubs, recreational sports teams, and other organizations need a way to inform people if severe weather might be a threat to their safety. Additionally, when severe weather is forecasted, your clients or members need to know whether or not events are going on as planned or being rescheduled. Emergency alerts via your text message platform can keep them informed. For example, a school can send out an alert to parents to let them know that there is a tornado warning, or an HOA could send out an alert to homeowners about flood warnings so that they can take action to protect their homes and their family. Universities, multi-campus schools, multi-building businesses and similar businesses or organizations also benefit from timely alerts in an emergency situation. If a fire breaks out in the chemistry lab at a university, you can send out alerts to students and staff so that they know what's happening. Another situation in which you would use emergency alerts is if there is a violent event in one building of a multi-building campus. You can alert everyone so that they know to stay indoors and remain safe until the situation is resolved. This can help to keep people safe and keep the area clear so first responders have space to perform their job. Text important information to subscribers so they know about any threats to their security. There are additional security alerts about which you might want to inform your customers or employees. For example, there might be a rise in burglaries on cars or suspicious strangers in the neighborhood. An HOA might send out alerts to their members to tell them to make sure their cars are locked. 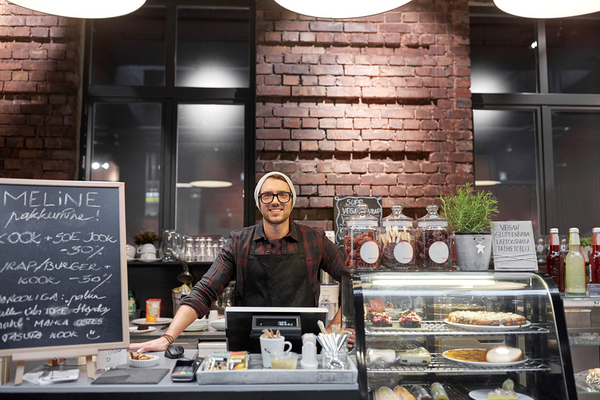 A business might send out an alert to staff members after seeing a suspicious person on the premises so that they can remain vigilant and keep themselves safe. You may already have a system in place to alert people about emergency situations. Some organizations rely on email or phone calls. Text message marketing provides an easy-to-use, immediate communication method that helps you get the word out and keep your people safe and happy. Contact us and learn more about text message emergency alerts for your company or organization. To continue to grow your small business, it is essential to find new leads. One way to do this is to broaden your reach to engage with a wider pool of potential customers. There are many ways to do this, and one of the most successful is SMS marketing. What's more, reports indicate that people do want to receive texts from businesses, so you are reaching out using a medium to which people are responsive. How does texting help you broaden your reach? There are a few key characteristics to consider. Almost everyone owns a cell phone, giving you a wide pool of potential leads. One of the best reasons to add texting to your marketing strategy is that it opens up the potential pool of leads to almost everyone. Granted, texting is a permission-based medium, so it does have some limitations. However, over 95 percent of Americans own an SMS-enabled cell phone. It's clear that a high number of people own SMS-enabled phones, and the good news doesn't stop there: most of them actively use texting. More than half of consumers also feel that text messages are an effective way for businesses to get in contact with them. Therefore, when you run a texting campaign, every mobile user becomes a potential lead. The numbers above are not just related to a particular demographic. A texting campaign gives you a chance to interact with customers across generational and socioeconomic lines. Although Millennials and Gen Z'ers are known for texting, older generations text almost as much as their younger counterparts. Texting provides a way to connect with all your potential customers, whether your clientele is mainly made up of young people or older people. Texting campaigns also allow you to broaden your reach by crossing socioeconomic lines. For many people, owning a computer and having continual access to the internet remains out of reach due to the expense. However, most people still have an SMS-enabled phone. For many families, this is a primary communication tool, and it may also serve as their only means of access to the internet. This population might not be able to connect with you on social media or through email, but they will have the ability to communicate via text message. Potential subscribers require no special equipment, other than an SMS-enabled phone, to receive texts from your business. With a texting campaign, mobile users do not need to worry about downloading a special app to get alerts from you or to take action on an ad. This also makes it simple for new subscribers to join your program. They already have their phone, and they simply have to text a keyword to a special code in order to participate. The easier an action, the more likely people will do it. Integrating SMS marketing boosts all of your marketing efforts. 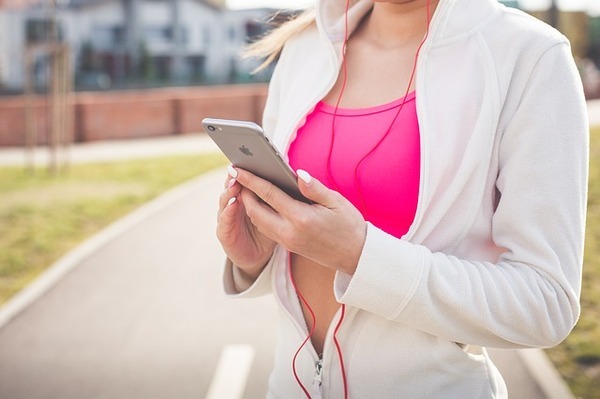 Running a texting campaign has the potential to connect your business with a much wider audience. You do not have to worry about alienating any particular demographic since everyone has access to the same information. 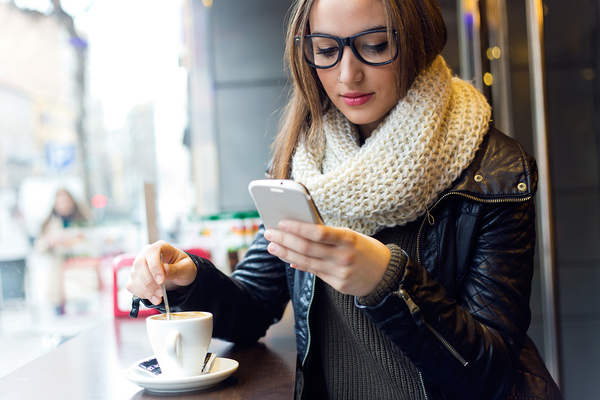 Ready to see how texting broadens the reach of your marketing efforts? Try ClubTexting for free and grow your business. Ready to start your SMS marketing program? It does not take much to get going with this marketing channel. 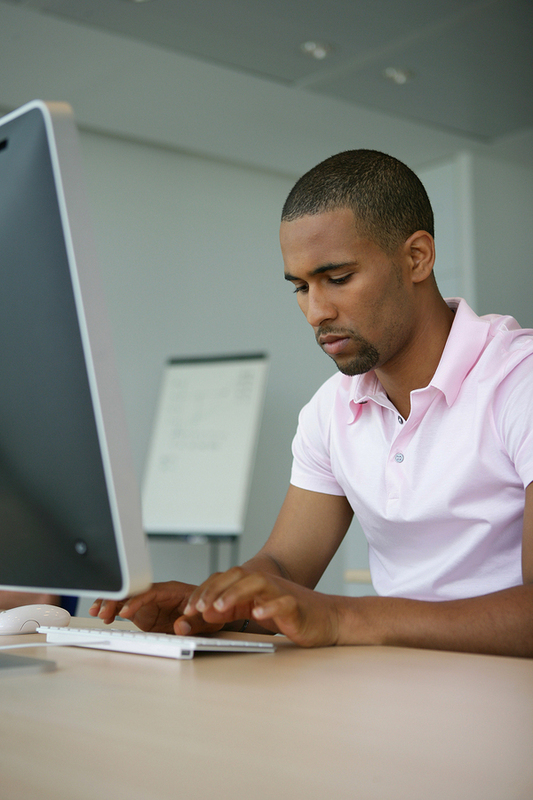 After taking just five simple steps, your program can be up and running. Be sure to follow our tips so that you develop a foundation for a strong program that achieves your business goals. 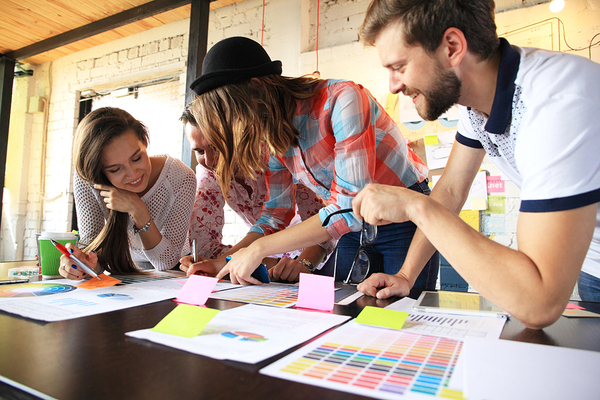 Get your team together to work out goals for your campaign. Before you go too far down the path of creating your SMS marketing program, you need to develop a clear objective. One of the biggest mistakes marketers make is to run a campaign with no clear goal in mind. In fact, 57 percent of marketers continually work without a defined objective with their campaigns. The problem with this is that it leaves you rudderless, so your campaign flounders. You might try to do too much, or you might not have an idea of how to structure your messages to get people to take your desired action. The most important thing is that your objective is clear, defined, and manageable. It is best to concentrate on one main goal in the beginning. Additionally, make sure your objective aligns with your overall business goals, as well as the objectives of your other marketing channels. Your texting program does not live on its own, so from the beginning, you want to see how it complements the rest of your efforts. Now that you have an idea of what you want your SMS marketing campaign to do for your business, it is time to choose a keyword that will help you to achieve your goal. You will most likely have more than one keyword over the course of your campaign. Keywords act as the foundation for your efforts. They are the words that you use in your promotional materials to motivate subscribers to join your campaign. How do you choose the right keyword for your business? Well, you ideally want something that is simple, appealing, and memorable. It is best to work with something relevant to your industry, company, or the campaign itself. Just be sure to keep it short -- to one word -- and do not use special characters. Once you have your keywords, you are ready to start promoting your campaign. SMS marketing is a permission-based medium, so it is essential that you have permission to text everyone on your subscriber list. How do you grow your list? By promoting it! Luckily, it is easy to promote your texting program. You can choose to create marketing materials related to your program and make sure they get to your potential subscribers. Additionally, you can simply add a blurb about the program on all existing marketing collateral as a call-to-action, since it takes little space. Wherever you normally market your business serves as a potential place to promote your campaign. The best places to push it are in the areas where people already follow your company. For example, those who follow your social media profiles or subscribe to your email newsletters are already predisposed to engage with you. Therefore, they make the best audience to initially target, especially if you provide them with an incentive to follow you on another channel. Find out what your customers want and provide them with messages that meet those expectations. You also want to follow a schedule to ensure that you do not overwhelm your customers with more texts that they want. No matter how long your campaign has been running, you need to monitor it to ensure it continues to flourish. By reviewing this information, you will have an idea of what works -- and what does not. For example, if you notice a high number of opt-outs after you send a particular type of message, then you know that your audience does not want those type of messages. The most important thing is not only to review the messages but also to make any necessary adjustments. You want to keep doing this for the life of your SMS marketing program because what works brilliantly now might not work forever. If you catch downward trends early, then you can make adjustments before you have a major problem. Ready to get started with text marketing for your business? Once you have steps one and two complete, then try ClubTexting for free and see how effective your campaign can be. When you create the marketing programs for your small business, it is essential that you develop different strategies for your different demographics. One of the most important definers is age, so you might decide to have different strategies for each generation. The marketing material you create for Gen Z'ers may not be effective for Baby Boomers and vice versa. Even a short-form marketing channel like SMS marketing becomes that much better when you tailor it to the habits and preferences of different age groups. Gen Z'ers might be young, but they are still a powerful buying force in the market. Gen Z'ers are the new kids in town -- the generation born after 1997. 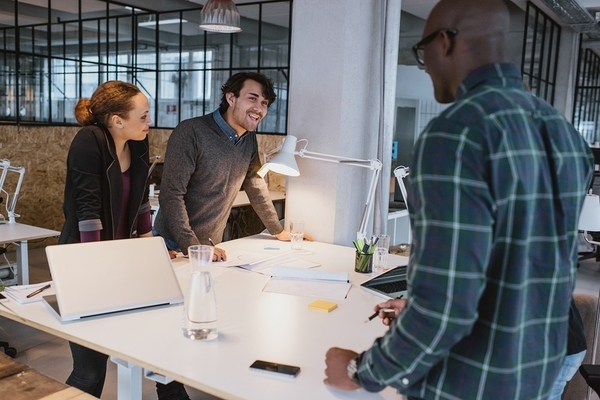 Although many are too young to be a key target demographic for most small businesses, the older Gen Z'ers are now 20 years old and entering the work force. Additionally, this generation contributes a whopping $44 billion to the US economy. It is estimated that by 2020, they will account for one-third of the US population. You cannot simply market to Gen Z'ers the same way that you do to Millennials, as they have their own nuances. They have grown up with the internet and social media even more so than Millennials. They are resourceful and prefer to feel like they have control over how they connect with businesses. 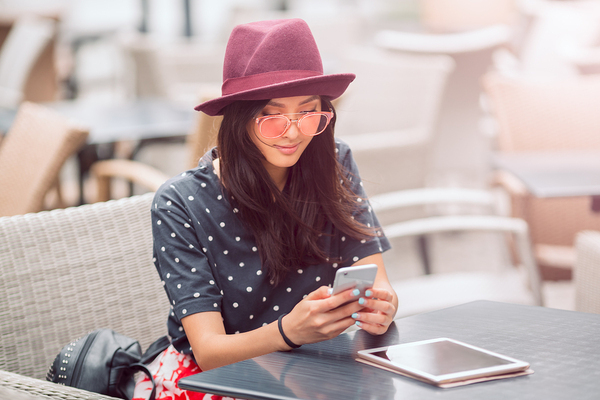 Millennials, those born between 1981 and 1997, are the generation that most people think about in connection with text messaging. They have also become a major target for marketers, especially as they have recently surpassed the Baby Boomers as the largest living generation in America. 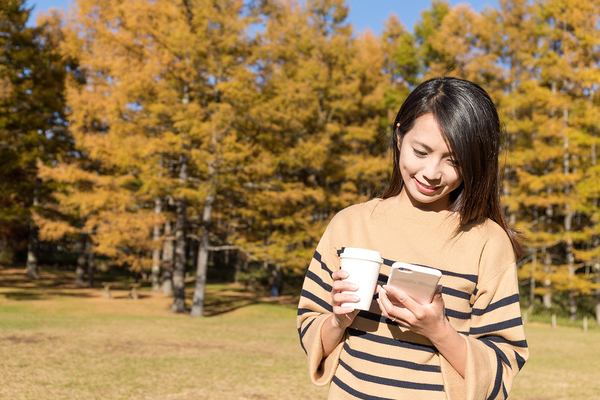 Millennials often prefer the convenience of texting over voice calls. A whopping 100 percent of Millennial smartphone owners communicate via text, according to the Pew Research Center. For Millennials, texting is something that is unobtrusive and allows for efficient communication. In addition to preferring texting, Millennials also look for branded content that is relevant and authentic. This generation is interested in customized content. Your texting program offers the perfect opportunity to tailor your messages for Millennial audiences. Additionally, a texting program allows you to create more engaging, one-on-one relationships, especially if you open it up for two-way communication. Don't make the common mistake of forgetting to market to Gen X'ers. Gen X'ers are often overlooked when it comes to marketing, which has earned them the nickname of the forgotten generation. 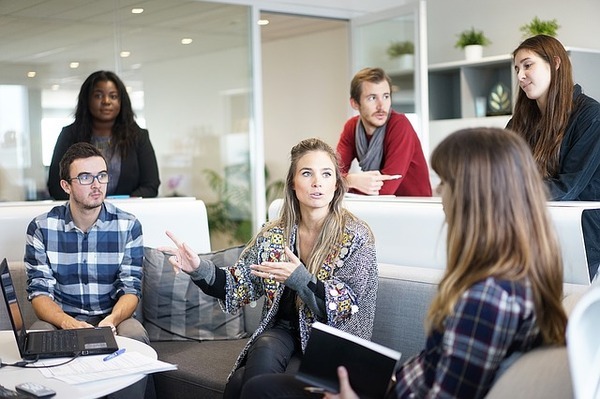 This group includes those born between 1965 and 1980, and although they are their own distinct generation, many are simply lumped in with Millennials or with Baby Boomers. When you market your products and services to Gen X'ers, you want to emphasize your good deals. Gen X'ers are looking to save money. They also want to find ways to save time and effort. How do you incorporate this into your text marketing program? Well, first and foremost, ensure that you have a solid coupon program that provides attractive deals to your clients. Additionally, you want to demonstrate how your small business goes above and beyond to save them time and effort in their daily lives. You can do this through sending daily tips, information about your events, polls or surveys to learn more about them, or a texting customer service option. Baby Boomers remain a driving force in the market. This generation is comprised of those born between 1946 and 1964. Although they might not be the largest generation anymore, there are still an estimated 74.9 million Baby Boomers in America, as of 2015. Many marketers look at those over the age of 50 as one large group, even though there are differences between the older generations. However, when it comes to technology, some similarities will impact how you target these generations in your marketing efforts. A common misconception is that people over 50 don't send text messages. In fact, the opposite is true. About 92 percent of smartphone owners over the age of 50 communicate via text, according to the Pew Research Center study mentioned above. In general, Baby Boomers and later generations tend to react more to traditional marketing practices. They also do not have as short of an attention span, so you can go into more depth with your data, and any videos you create can be longer. One important thing to remember is that many of these people are in retirement, or about to be. Therefore, think about how your company will help them, either with enjoying their leisure time or by helping them cut back on spending to stretch their retirement funds. How can you incorporate this into your SMS marketing program? Well, to begin, keep things simple for your older generations. They might use technology, but they are not always as advanced as the younger generations who grew up immersed in it. Focus on providing information and ways to help, while also engaging with them in a more personal way. Additionally, offer deals, discounts, and services to help them in their retirement. Some text messages will resonate across generations. Although these generations might be different, there are some important similarities among them. They all will enjoy a good deal, so texting coupons is always a good strategy. Additionally, engagement and personalization remain essential. With your SMS marketing program, be sure to develop tailored content to your customers, which you can do by segmenting them by demographics. Additionally, you always want to send content that is valuable and relevant. 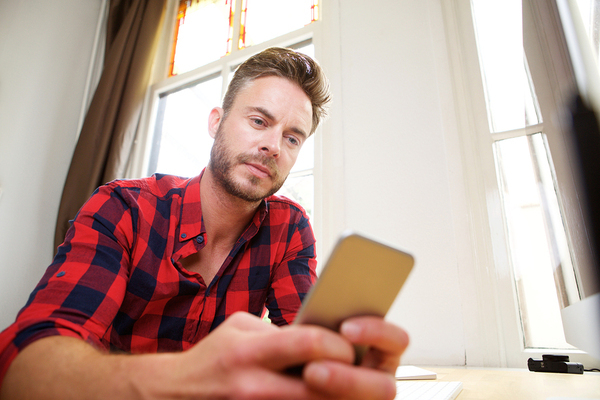 Ready to see how texting can help your company target all of your customers? Then try ClubTexting for free. 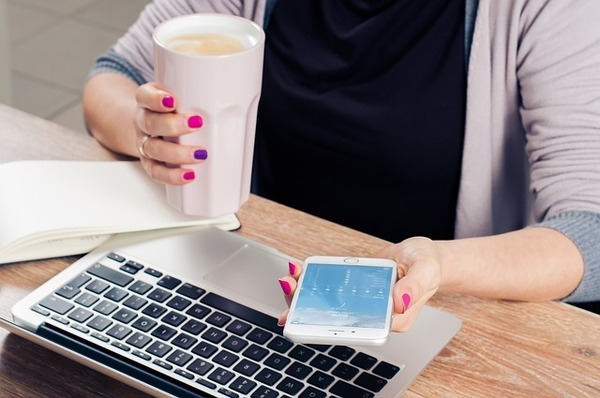 Despite the numerous benefits of SMS marketing, there are still several myths that make small business owners hesitant about adopting a texting program and integrating it into their marketing efforts. However, it is important to know the realities of these myths so that you can make an educated decision on whether or not to explore a texting campaign for your business. As you will see, texting is a lucrative marketing channel from which many companies, both big and small, can benefit. 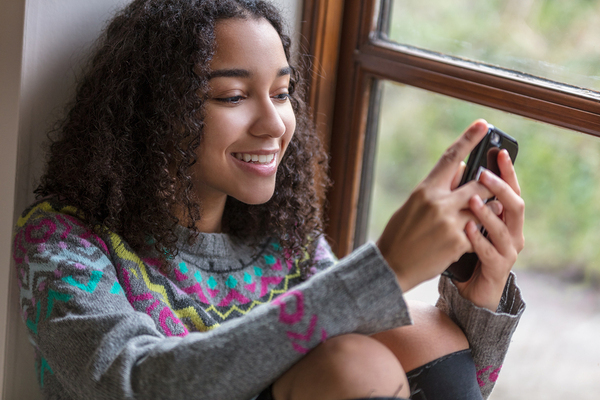 One of the most perpetuated myths about SMS marketing is that only young people text. 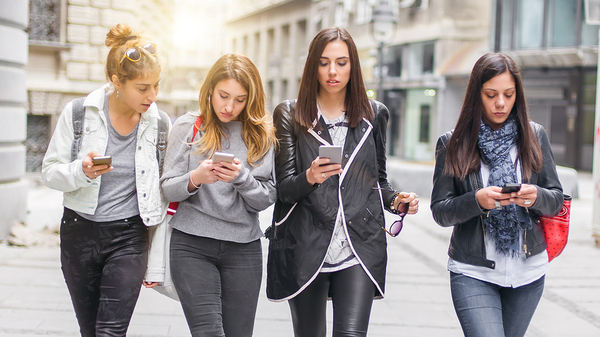 Companies often feel that if their primary clientele is not made up of millennials and generation Zers, they will not see any positive returns from implementing a texting campaign. However, the truth is that people of all ages text, including generation Xers, baby boomers, and the lost generation. Although the percentage of older people who text might be lower than that of younger generations, it is not by much. Out of smartphone owners, 100 percent of 18 to 29-year-olds text, while 98 percent of people between 30 and 49 years old text, and 92 percent of those over the age of 50 text. When you combine all the age groups together, on average, 97 percent of smartphone owners text at least once a week. The older generations text almost as much as Millennials and Gen Zers. Considering that 95 percent of Americans own a cell phone, and the smartphone market share is now at 77 percent, these numbers are powerful. Even in the older age groups, the majority of people who own a cell phone have a smartphone. So what does this mean for your small business? It means that whether you focus your marketing on millennials or baby boomers, you can have a strong return from an SMS marketing campaign. Marketers may hesitate to incorporate text messaging into their marketing endeavors because they feel that only a percentage of their clients will be able to receive the messages. Some think that texting only works with smartphones. However, that is not the case. 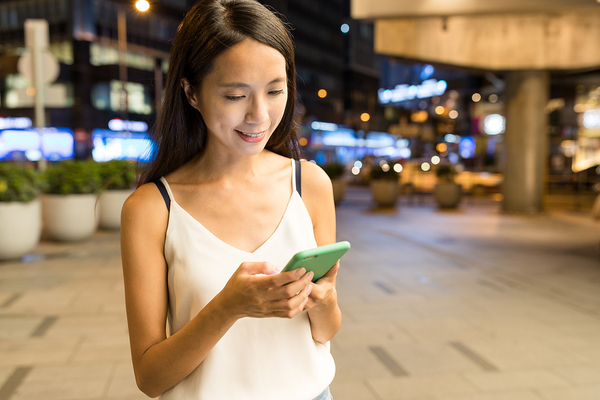 Although the above statistics are related to smartphone ownership, your customers do not have to have smartphones to benefit from a texting campaign. In fact, the beauty of SMS marketing is that it has a wider reach because people do not need special technology beyond an SMS-enabled phone to engage with your business. All cell phones on the market can send and receive text messages, even pay-as-you-go phones, and, since 95 percent of Americans have a cell phone, text marketing gives you access to a vast pool of potential clients. Therefore, as you formulate your marketing strategy, consider that people from every age group, ethnicity, education level, and income level own a text-enabled cell phone. Some of these might not have ready access to email, web pages, or social media. However, they can receive text messages. A similar myth to the idea that people need smartphones is that they need a special app to be part of the program -- or that you do. However, this is also inaccurate. There are mobile marketing programs out there that require special apps, but SMS marketing is not one of them. It uses the default message system that sends and receives SMS messages on any phone, no app required. You can quickly access most group texting platforms from a computer. The exact features of your program will depend on the company you use as your group texting provider. You can typically access a group texting software or platform from different channels. These might be a website, or an app on your computer, tablet, and/or phone. Some small business owners see the benefits of texting, but they still hesitate to adopt it because they just feel that it only helps big businesses. However, the reverse is true. SMS marketing is cost-effective and helps smaller businesses compete with larger companies. 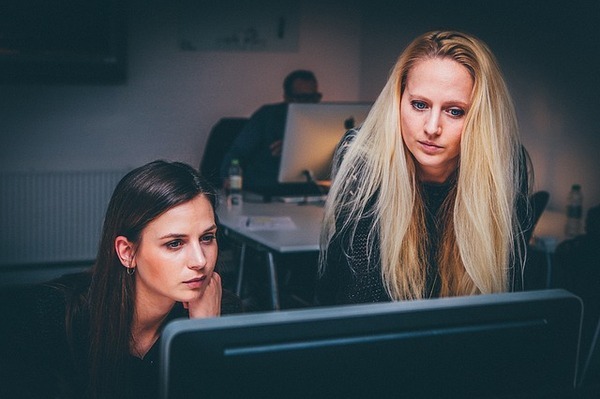 How can it help a small business compete with a larger one? Because companies don't need a big budget to be successful with SMS marketing. SMS marketing is a text-based medium. Although you can incorporate some graphics with MMS (multimedia messaging), most companies stick with the text-based SMS messages, even the large corporations. Therefore, you do not have to worry about creating a beautiful graphic that costs thousands of dollars to produce, as you might with other marketing channels. Another reason SMS marketing benefits small businesses is that it provides a way to engage directly with your customers. As a small business, one of your defining characteristics is your ability to have a one-to-one relationship with clients. Many customers care more about customer experience and engagement than other factors. Therefore, even if the big box stores or other major corporations can out-price you, you have the opportunity to out-service them by providing an amazing customer experience. With a small price tag that can fit almost any budget, texting is tailor-made for smaller business. Another myth that never seems to go away is that people simply do not like to receive texts from companies. Many businesses feel that people will see the messages as spam and that ultimately, the messages will have the opposite of the intended effect and turn people away from the company. However, the data does not show this to be true. For one, only 1 percent of text messages are considered spam. Additionally, 70 percent of consumers feel that texting is a good way for businesses to get into contact with them. People want to receive texts from their favorite brands. Additionally, text message marketing is a subscription-based service, which means you are only able to send marketing texts to people who have signed up to be part of your program. Therefore, you are texting to customers who want to hear from you, making texting that much more effective. Your audience is already engaged and has a positive feeling towards your business. Texting just provides a way to nourish that engagement. So, what does this mean for you and your business? It means that you shouldn't be afraid to send your customers text messages. However, be sure that you send relevant and valuable information, and only to those who have signed up to be on your list. Additionally, limit the number of texts you send so that you do not oversaturate your customers. About two to four texts per month should suffice, though you might find that your customers want to hear from you more often. Many marketers hesitate to use SMS marketing because they do not believe in its efficacy. Although it might not be as popular as other marketing channels, such as email, that does not mean it is ineffective. In fact, it means the opposite. Because not every company uses SMS marketing, people are not receiving an enormous number of texts from businesses like they do with their email messages. This means taht text messages have a greater impact, and it is probably the reason for their 98 percent open rate. One of the benefits of this increased impact? SMS marketing also has a higher conversion rate than other marketing tactics. Texting campaigns have the power to increase your business and bring in new customers. People also carry their phones with them at all times, making it easy for them to see their message right away. This is likely one of the reasons that people open their texts within just a few minutes of receipt. Therefore, when deciding the best way to cut through the enormous amount of marketing information that people receive and stand out from the competition, consider using text message marketing. You will have much less competition, improving the efficacy of your efforts. If you hesitate to incorporate SMS marketing because you feel it takes too much work or is too time-consuming, then you would be wrong. Although learning any new marketing channel takes some time and effort in the beginning, it is relatively easy to set up compared to other channels. Once you learn the basics of SMS marketing, then you will find it takes you significantly less time and effort than other channels to see results. You can schedule automatic messages, create templates, and more with your texting platform software. These are just a few of the myths related to SMS marketing. Now that you see the truth, you are ready to overcome your hesitation and integrate texting into your marketing efforts. Still have questions about the benefits of adding texting to your marketing efforts? Contact us, and we will help you out! No matter the purpose behind your organization, it is essential that you promote and encourage people to attend your events. There are many different potential routes for promotion, and one that should be added to your arsenal is group texting. A group texting program is a versatile tool for promoting your event. The following are just a few ways in which you can use your texting program to increase awareness about and attendance for your events. Text your members about your next meeting, party or another event to increase participation. A group texting program provides an excellent way to market your event to your current members and others in your community. For one, you can simply send out a text message about your event to those who currently subscribe to your texting program. However, texting's role in marketing goes further: it is an excellent call-to-action. Include your keyword and short code or long code on your advertisements to provide a simple yet effective call-to-action. 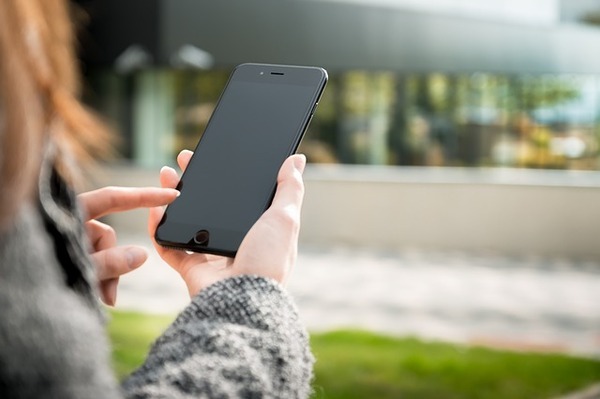 Most people carry their phones with them at all times, so they can easily grab their phones and opt-in for more information about your event, even if they see your ad when they are on the go. Group texting also provides an avenue for generating interest and excitement about your event among your current members and other subscribers to your texting program. In the weeks or months leading up to your event, occasionally send out a message with event details. Include exciting information that sparks their curiosity and gets them talking about it. Your group texting program can also be used as a registration tool. Simply text your group asking them if they plan to come to your event. They can then respond with a YES, NO or MAYBE. Then, you can mark it in your files so that you have a headcount. This can work for any type of event, including a meeting or last-minute activity. As an added bonus, it provides accountability, even for events where it is not necessary for participants to register ahead of time. Events that require more complex registration can also be handled through text messages. Start with a similar type of text message. Then, include a link to the full registration page to those who text YES or MAYBE to you. If online registration is not an option, then you can have your event organizers contact the members who have shown interest in the event to handle their full registration in the appropriate manner. 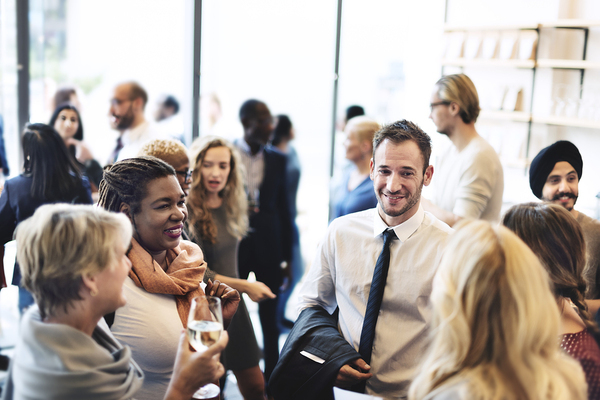 Promoting your event is not just about getting the word out or making it easy to register; it is just as important to ensure that your members actually attend. Group texting provides a great way to remind your members about the event. People read text messages, typically opening them within a few minutes. Therefore, it is the perfect way to feel confident that people have seen the message and will remember to attend your event. Simply send out an event reminder about 24 hours in advance to increase your attendance. Send out a text message after an event to find out if people enjoyed it. "Thank you for attending our event. Text back GREAT, GOOD, OK or BAD to tell us about your experience." Then, you will have a general idea of whether the event was a success or not. Those who text a response can get a follow-up text with a link to a longer survey so that you have the opportunity to learn more. At every step of the way, group texting provides a way to promote your event and encourage people to attend. 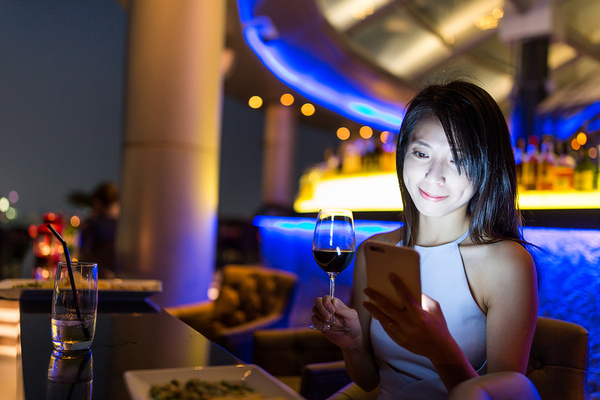 Whether you host events that are months in the making or last-minute informal meetings, you can utilize texting to get the word out and increase your event attendance. Contact us to learn more about how to implement a texting program for your community organization. Chip R. Bell is a renowned keynote speaker, consultant and author of several national best-selling books. His newest book is the best-selling Kaleidoscope: Delivering Innovative Service That Sparkles released in early 2017. You can follow his work at www.chipbell.com. First off, can you introduce yourself a bit, and tell us about how you got started in marketing? What drew you to the industry, initially? I am Chip Bell and I work with organizations all over the world helping them craft go-to-market strategies that focus on innovative service. My work is about creating value-unique customer experiences, not just value-added ones. It includes helping leaders build sustainable cultures that support long-term customer advocacy. What drew me to the industry was the words of Peter Drucker: “The purpose of an organization is to create and retain a customer.” I believed that with my passion for the customer, the world of customer experience was a realm in which I could make a difference in the health of an enterprise, the well-being of their employees, and the value to their customers. How long have you been involved with marketing? How much has changed, in that time? What's stayed the same? I started my company in 1980 and much has changed. Obviously, social media has altered how companies influence customers and vice versa. The customers’ definition of value has shifted from a preeminent focus on product/outcome and price to a focus on the experience. What has remained the same is the customer’s desire for fair dealings, transparency, integrity and quality from all the enterprises with which they interact. Your services are often described as 'customer-centric'. Can you give an example or two of what 'customer-centric marketing' looks like, and why it matters? It matters because customers embrace and advocate organizations with a clear and present focus on the primary source of their revenue—the customer. It matters because customer-centric organizations attract the best talent who in turn attract the best customers. Customer-centric means putting the voice (needs, expectations, hopes and aspirations) of the customer in the middle of all decisions that ultimately impact customers. When eBay wanted to create a new mobile app, they turned to the voice of the customer to assist. When the R&D unit at Medtronic is stumped on the development of a new medical device, they bring in prior customers to talk about their experiences with other devices. Sometimes, there's kind of a heavy or pessimistic tone regarding digital marketing, in the wake of the dotcom gold rush, with cynical companies and marketers trying to grab as much cash as possible - even without having anything of value to contribute. Digital marketing also offers more opportunities for customer-centric marketing than any other time in history. What is your feeling, regarding the possibilities of online marketing, in its many manifestations? Gold rush reactions to every new trend always create hucksters looking for a quick buck to cash in on the hysteria. Failures create lessons learned, however, leading to more realistic opportunities and more mature responses. The possibilities of online marketing are at an exciting time with its intersection with new technologies that give customers more control and companies a new medium for enriched connections. The advent of bots and virtual reality design can make marketing a portal that connects the offerings of an enterprise with the right customer with the right need at the right time. According to a statistic published by HubSpot in 2016, only 17% of marketers feel that outbound marketing provides the best leads for sales. Why is that number so low? What are some of the issues with outbound marketing, in 2017? Too many outbound marketers are using antiquated messaging with limited customer intelligence yielding a spam-like experience for prospects. For marketing to be effective it must have influence—it must sing a song the prospect enjoys hearing. But more than that it must fit the prospect’s zone of interest. For example, telling me about a new car just three months after I purchased one is likely to be of little interest. My auto dealer knows I am not interested in a new car until my current one gets close to 100K miles. Sending me an outbound marketing piece too early not only lacks influence, it wastes my time and energy. Also, sending me a new truck marketing piece when I am only interested in an SUV tells me the dealership cares only about making a sale, not serving my unique needs. There's been a lot of criticism regarding social media marketing, as well, these last few years, following a couple of years where it was trending as the next big thing. What is your take on social media marketing? How much time, energy, or resources should a marketing team be spending on their social media promotion? The customer pays a lot of attention to social media, especially from those closest to them. They trust word of mouth (actually, word of mouse) information from family and friends far more than the word of the marketer. The advantage of social media is its speed and reach. Armed with smart tools, social media marketing can be very effective if it is highly targeted and emotionally compelling. When I complain about ads I see on TV my wife reminds me the ad is not intended for me. Social media marketing is the same. Again, we must marry deep customer intelligence with social media marketing. Mobile marketing is obviously not going anywhere, as smartphones are here to stay. What are a few reasons why marketers should integrate SMS marketing into their marketing strategies, if they haven't already? If you are not including mobile marketing in your outreach, you are way behind the times. Adults spend an average of three hours a day on the mobile device. And, their mobile device goes with them everywhere. 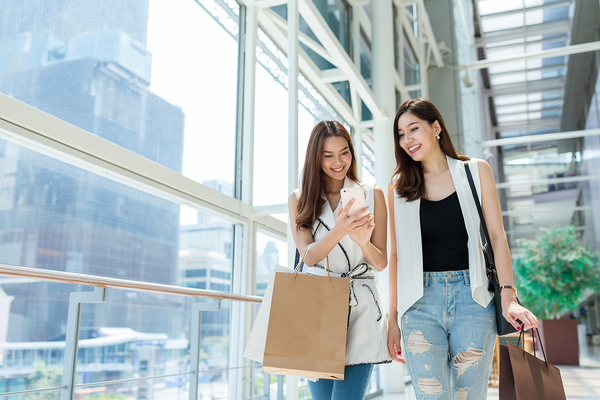 Having a way to reach customers on-the-go is crucial to influencing buying behavior when customers are in a buying mood. One of the reasons SMS marketing is so effective is that customers must opt-in to receive SMS promotions. Can you share any thoughts or tips on how to get customers to sign up to receive SMS marketing messages? Also, what are some of the benefits of the fact that customers voluntarily sign up to receive promotions? We are a country founded on the virtue of freedom. Forcing a message on a customer sets you up to not only be ignored, but to be loathed. The word “spam” comes for a cheap meat people were forced to eat during the depression because they could not afford anything else. It is sometimes called “fake meat.” Opt-in can be another path to personalization—meaning, I don’t mind junk mail if it is about products in which I have an interest. If customers are willing to opt-in, they are telegraphing an interest and a willingness to be influenced. Likewise, what are a few ways that marketers might use SMS marketing to keep customers loyal, once they've already signed up? Always give them an easy way to opt out. Seek their feedback often. Get them involved in a way that is engaging—like a contest, a puzzle, etc. Make them feel like insiders (much like a fan club). Provide them values others might not be able to access. Grow your customer insight base from the behavior of those that opted-in. Finally, can you share a few thoughts on how best to optimize marketing messages to fit into such a small space? And also, what are a few useful times of day to send SMS marketing, and why is that important? Space is not so small if it is “3D” or pops elsewhere or turns into something gloriously delightful and unexpected. Think about SMS marketing messaging like a virtual Jack-in-the-box, not like a column in a newspaper! 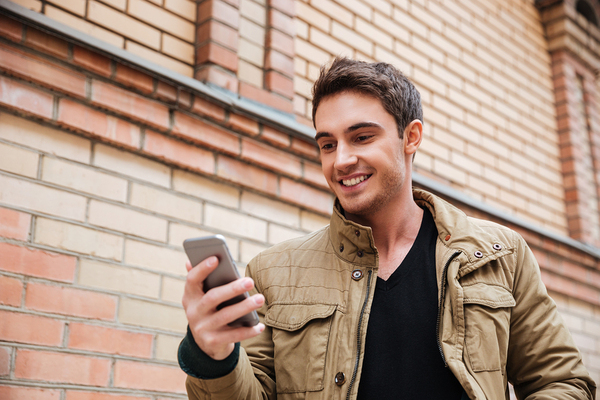 Want to learn more about how SMS marketing can earn your customer's loyalty? Try ClubTexting for free today! People are more engaged in local and national government than ever. Grassroots organizations from all parts of the political spectrum are popping up around the country looking to help change the world in a variety of different ways. One of the biggest obstacles these groups face is finding an easy way to organize and communicate with members and interested parties. Group texting provides a way to get members organized, informed, talking and working together to be more successful in their efforts, whether their aim is to support a local candidate or get legislation passed or not passed. 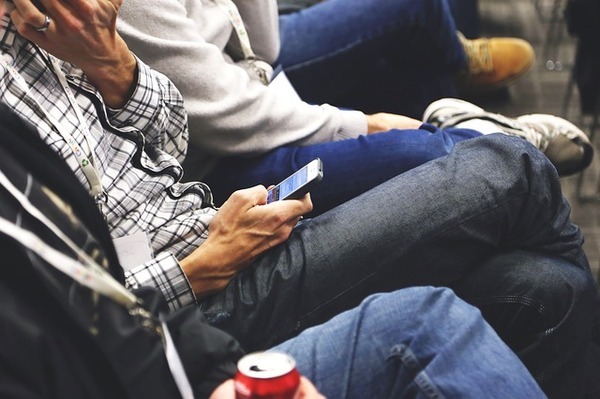 Increase attendance at meetings and events with a group texting program. Not everyone in your community group will want to connect on social media to stay informed. However, almost everyone has an SMS-enabled phone, making it possible to receive messages about events, rallies, meetings and more. Texting is something that reaches across income level and educational level divides. Plus, you also can cross generational gaps, since it is not just millennials and gen Z'ers adept with texting; older smartphone users text almost as much as their younger counterparts. This inclusivity makes it much easier to communicate with all members of your community. Additionally, text messages have a high open rate, and they are typically opened within just a few minutes. You do not have to compete with the many things crowding social media newsfeeds and email inboxes. This means that even when things change at the last minute, you are able to communicate with your members. If a key piece of legislation is passed, then you can rally your members to act right away. If your meeting changes locations or times, then you also have a chance to let everyone know. Sign up to receive updates on [issue/group name] by texting [keyword] to [shortcode]. In addition to asking for opt-ins this way, also include it as a communication option when people sign up either in person or online to become a member of your organization. Some people might choose to just receive texts from you, or they might choose to receive them in addition to email and/or social media updates. Make sure to have everyone confirm that they really do want to be part of your texting campaign. Text YES to confirm, NO to opt out, or HELP for more information. This serves as an added assurance that everyone on your list wants to receive your texts. Furthermore, you also will have a record that you have permission for your program. It is important to also include ways for your subscribers to easily opt out or get help on future text messages so that if people change their mind, they know how to stop receiving messages. Establish guidelines to ensure that everyone who texts within your organization will remain respectful. Guidelines also give your members an idea of what to expect if they choose to subscribe. You might determine these guidelines on your own, or you might come up with them at a group meeting, depending on the size and structure of your group. Regardless, respect should always be at the forefront of your program. Although there are plenty of reasons to text out to your community about actions or events, you do want to limit the number of messages and text during appropriate hours. The number of texts that becomes troublesome depends on your own organization and the members' preferences. To determine the right number, ask your members and look at your opt-out rate. If you notice a lot of members unsubscribing, then you might be sending too many messages. Additionally, remain relevant to the mission of your group. There might be many things that you hope to accomplish, but that does not mean that you should be sending general texts to your group. Limit your texts to the latest news, events, updates and other information that they need to know. Even in emergencies, avoid texting at inappropriate hours, such as during the night when people are sleeping. Depending on the size of your community organization, you might have several sub-groups. Perhaps some people are more interested in helping with different aspects of your movement than others. For example, some people might wish to have a leadership role, and others wish to simply show up when you tell them to do so. Therefore, you want to segment your subscriber list into groups. Organizing your list based on people's preferences ensures that they only receive messages relevant to them. With this information, you will know which section to organize a person. Some of your more active members might belong to several of your text groups. This is fine, but just be sure that you do not end up sending duplicate texts. This could cause your opt-out rate to spike. The more specific you make your lists, the more relevant the content. This keeps people signed up to your group texting program, and it helps you to ensure that your calls for action are hitting those most likely to help out. Keep your members happy by only sending out content that matters to them. Any funny memes or relevant newspaper articles should be saved for other forms of communication -- unless it is something you feel that everyone really needs to see. 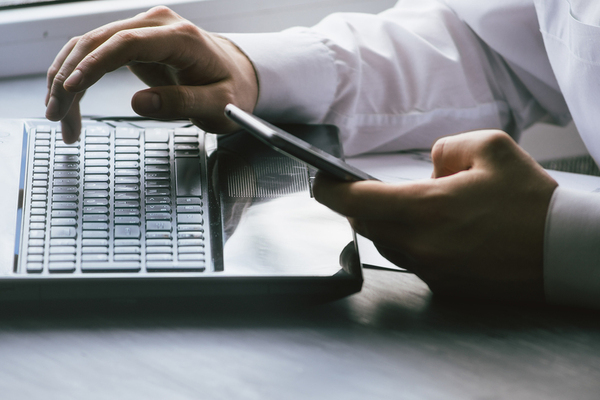 If you do want to ensure that your members who might not follow you through email or social media see certain content, consider creating a web page that aggregates important information for a particular week. Then, send out one text per week with a link to this page so that members can stay informed without feeling overwhelmed by several messages. Remember, a strong group texting program follows certain guidelines. People expect every text you send to be directly related to an action they plan to take or valuable information they must see. If they are looking for everyday social interaction with your group, they will probably head to social media for that. Your group might choose other content to include on top of this, and as long as your members are happy with what you send out, then you have remained relevant and of value to them. 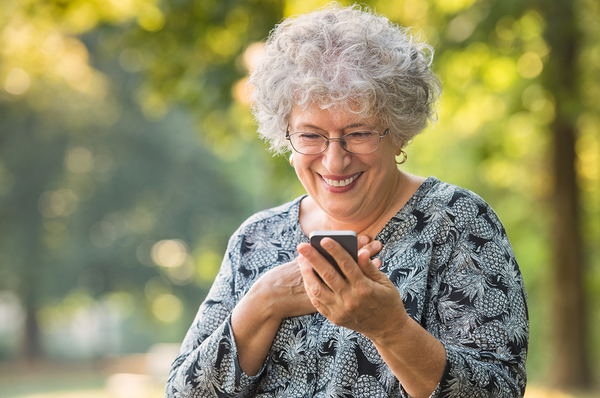 Plus, you can use texting as a two-way communication forum through which members can contact you to ask questions or alert you to the latest news. Whether you are trying to get a candidate elected or legislation approved, for either local or national government, it is important to get citizens united and involved. Communication and organization play key roles in being able to do so, and group texting provides one way to mobilize your group. It works well on its own, and it complements your social media and email communication channels as well. Ready to step up your organization's communication abilities? Then try ClubTexting for free and get started today. Personalized, targeted messages take a decent -- or lackluster -- campaign and turn it into a powerful one. 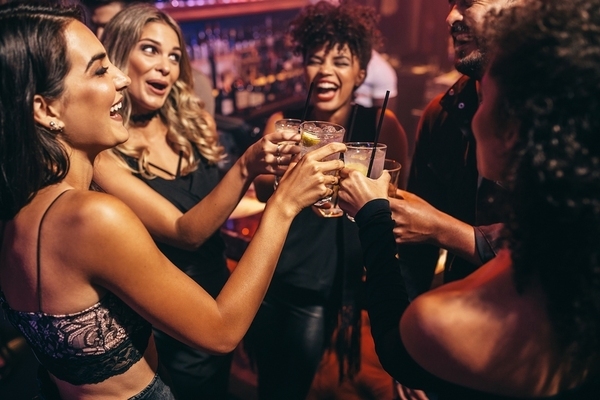 Before integrating this into your text marketing program for a more successful effort, you first need to know who your nightclub's audiences actually are. Build a stronger campaign by knowing your customers better. Depending on your club, you might attract a similar demographic of people every night, or you might find that certain events or evenings draw in different crowds. Some clubs might also do a good job of having a diverse clientele every evening of the week. No matter into which category your club falls, it is important to understand your audience or audiences. The best way to do this? Build a marketing persona. You might have heard about marketing personas before. They have become one of the best ways of determining the target audience for marketing campaigns across all channels. For those of you unfamiliar with the concept, marketing personas are basically representatives of your ideal audience. They have similar demographics, behavior patterns, psychographics and other characteristics of your typical or ideal customer. Then, you use these for creating content that speaks to your customers. So, once you have a persona built, how exactly does that help your club's text marketing program? And, how do you know which personas to utilize for your texting campaigns? Once you have an idea of the customer and their likes, dislikes and behavior patterns, then you will have a firmer understanding of which customers will choose to engage with your club via text marketing. Then, you have a better idea of the type of content that is tailored to their preferences, thereby increasing the success of your program. What Is Your Campaign's Objective? Start by getting your team to determine the purpose behind your texting campaign. When you determine who your target audience is, consider for what purpose they have decided to sign up for your texts. Is it because they want to engage with your club, or are they looking to save money or gain special access? Your answer to this question informs what type of content to send. Which Data Is Most Important? 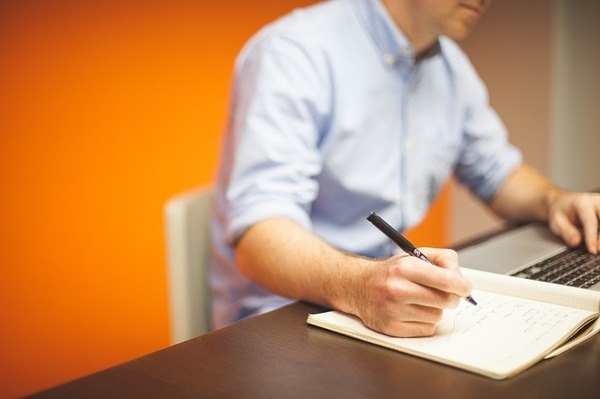 You might choose to go right to the source with customer surveys, and as mentioned, you might also use market research or look at your competition for additional data. So, once you have all the data, which information is the most important in creating your target audience for your texting program? Ultimately, that depends on the objective of your marketing strategy and program. However, you want to start by looking at any data that provides more information to you about your general customers than simply their age or that they visited your clubs. Information about their likes, dislikes, interactions with your clubs and other facts helps you to build a better idea about those who patron your club. From this, you can determine which audience will more likely sign up to your text marketing program, helping you to further narrow down which persona or personas to target. Should You Segment Your Subscribers? When writing personalized or targeted messages, it is essential that you create content that speaks to the person, even if that content is only 160 characters, as is the case with text marketing. Once you have reviewed your marketing personas, you might notice that you have several different typical customers. When this is the case, then it is beneficial to segment your audience. For example, perhaps you have one persona who represents customers in their 20s that enjoy house music, visit on Thursdays, and tend to buy alcohol rather than food. With this information, you will want to focus your content and provide deals, information, and access for events that take place on Thursdays and feature house music. Offers involving free drinks will have a greater impact than offers on free food. Then, say you have a person representing people in their 50s who come out for 80s band cover night. They typically visit on Wednesdays and like to eat as well. The best offers to send them would be for free food on nights with the 80s cover bands. How do you do this? Segment your list, assigning each person for whom you have sufficient data into a group based on their behavior patterns, preferences and psychographics. Then, you have the potential to get even more targeted in your message approaches, increasing the success of your overall campaign. Personalized messages to each group of subscribers can enhamce the efficacy of your entire campaign. Of course, when you do this, it is essential that you pay attention to whether or not someone makes more than one list. If this is the case, you will need to monitor your campaigns so that a person does not get the same message multiple times -- or that they end up overwhelmed by messages. Additionally, it is important to continue to have a more general message that you send to those for whom you have minimal data. So, how do you put all of this information together to find the right audience for your club's text marketing program? Simply put, you spend time researching your current and prospective club visitors, including their demographics, psychographics, behavior patterns and more. Then, build marketing personas. From there, determine which ones will be more likely to interact with you via text. Then, develop texting campaigns that target those particular marketing personas. Segment your list based on any data you have to receive the targeted messages. With a bit of work, you will know your texting campaign's audiences. From there, you will have the information necessary to create personalized messages that take your texting campaigns to the next level. Ready to start creating personalized campaigns? Get started and try ClubTexting for free. Although it might seem as though SMS marketing is a relatively new marketing channel, it has actually existed since the early 2000s. From its onset, many have seen the potential of the medium, yet just as many remain wary of it. SMS marketing is an effective way to bring in customers. In the past few decades, a lot has changed in marketing, including the changing emphasis on mobile marketing. What was once used by a few brave leaders is now becoming commonplace. However, there remains some who are still unsure whether it is something worth adopting or simply a passing fad. Some myths remain so entrenched that it is difficult to know the reality surrounding this highly-effective medium. By reviewing a few of these misconceptions, you will discover why so many have adopted it. Back in the early 2000s, Adage wrote an article about the promise of using SMS for marketing purposes. 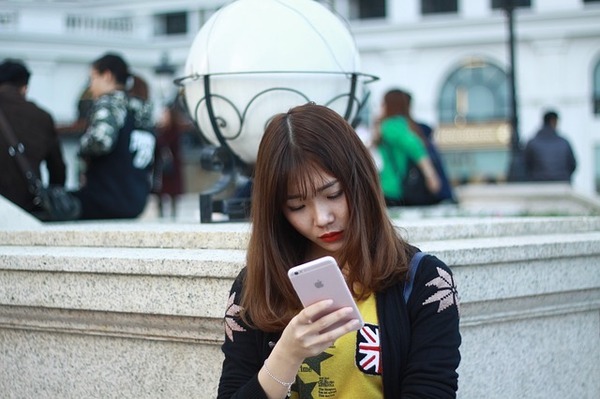 During this time period, texting was just starting to become widely popular, especially in Asian and European markets. Between 2001 and 2002, there was a surge of over 150 billion more texts sent per year, and in 2003, the first few commercial SMS services started to emerge. The promise of this new marketing channel was obvious. It was seen as a way to be personal and directly communicate with individuals. Some major brands, including Nike and Coke, became early adopters. However, this marketing forum also saw a huge obstacle due to many carriers, and users, viewing it as spam or a passing fad. It ultimately took a back seat to some of the other marketing channels, such as email and social media. Many of the benefits -- and concerns -- surrounding text message marketing still stand 15 years after the publication of this article. Despite the Adage writer seeing the benefits of this medium so many years ago, companies still hesitate to adopt it today. If this is you, there is no reason to continue to wait to see whether or not people will adopt SMS marketing. It is a highly relevant marketing channel with many people wanting to communicate with businesses through it. Not convinced? The following should help. With the growing importance of the internet, it is essential to have a web presence, including email and websites. In today's market, taking this presence into the mobile space is becoming more important than ever. More people interact with businesses or go online on their mobile devices than a computer, with mobile internet usage making up 70 percent of usage. The numbers are set to only increase, with the number of people preferring to access the internet via a mobile device rather than a computer expected to jump by 28 percent. This makes mobile marketing a priority for businesses, especially since people are looking for a mobile-first solution to their shopping needs. Another reason SMS marketing has such power: people carry their phones with them everywhere. A significant portion of people who own a cell phone never have it out of reach, and they will check it multiple times per day. When they receive a text message, they open it within just a few minutes. Because more and more people also shop on their phones, they can easily take action on a text coupon by clicking to link and complete a sale. A very prominent myth about SMS marketing that still reigns supreme is that customers do not wish to have businesses contact them via texting. However, that is not the case. Around 75 percent of consumers want businesses to communicate with them via text rather than targeted internet ads. In addition to receiving messages from the business, many consumers wish to interact with businesses via text, especially for customer service. Customers do want to hear from you through text message. 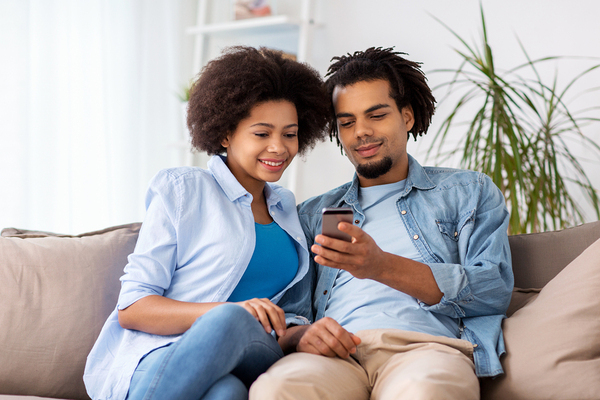 There are many benefits to choosing to interact with consumers via texting. For one, it builds a more intimate relationship with consumers. You are texting with them in the same channel that they typically reserve just for their family and friends. Additionally, spam takes up just 1 percent of messages, so consumers will view each individual message as important. Additionally, texting is a permission-based medium, which means that you are only communicating with those who wish to hear from your business. This makes the message have that much greater of an impact. When you market to people who already have a positive experience with your company, then they are more likely to take the intended action. This leads to SMS marketing having some of the highest numbers for conversion rates and engagement rate. Texting has a strong engagement with customers, which helps you to build your business. Many people now shop based on their experiences and engagement with a company, rather than based on price and other factors. By using texting to engage with customers, you will be able to retain them and increase your number of loyal customers. Millennials and Gen Z'ers are famous for their love of texting and mobile devices. This makes SMS marketing an ideal channel for marketing to younger consumers. In fact, 60 percent of Millennials prefer two-way texting, and more than 83 percent open their texts within 90 seconds. However, this is generally an underused medium, as only 60 percent of Millennials receive five or less marketing messages from businesses, and a full 20 percent do not receive any. 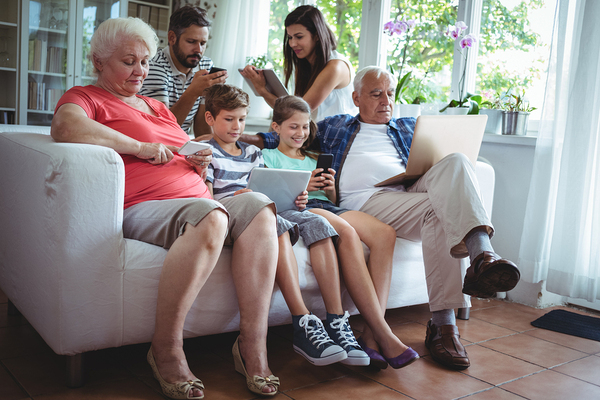 It is not just young people who text.
. As you can see, implementing a text program will not eliminate your ability to target older demographics. These are just a few of the key statistics showing the power that texting has over other marketing channels. Additionally, more than two-thirds of subscribers to mobile marketing have made a purchase due to a relevant message. Every marketing channel has its strengths and weaknesses. However, you would be remiss to reject SMS marketing just because you feel that some of the other marketing channels are better. Texting has not yet reached its peak as a marketing channel. It is expected to continue to grow and become an even more vital component of marketing. In the coming years, more automation and chat bots with state-of-the-art artificial intelligence will emerge and integrate with SMS marketing and messaging chat apps. The marketing channel is expected to continue to grow, with no end in sight. Therefore, there is no reason to simply not adopt it, thinking that it is simply a trend that will quickly go away. Get your team together and start working on a plan for your program. Now is the perfect time to add texting to your marketing strategy if you have been hesitant. It is continually increasing in its efficacy, and customers are primed to opt-in. Despite its many advantages, few businesses have adopted it, meaning that customers are not overcome by messages. This helps you to cut through the mess and compete, even with the larger corporations that might have more money for marketing and advertising. SMS marketing has been around for 15 years, and it will be around for decades to come. Rather than believing the myths that continue to circulate around the medium, take advantage of the lucrative benefits of the medium and add it to your marketing campaign today. Get started by trying ClubTexting for free. Before you start your text message marketing campaigns, it is essential to have a goal in mind toward which to build your strategy and determine where it fits into your overall marketing efforts. Although you might have a general objective or goal for your texting program at large, each new campaign needs to have its own goals. For example, as discussed previously <>, when you develop a holiday campaign for your club, it is important to start with a specific goal in mind. Using the SMART goal philosophy helps you to create stronger, more effective goals that also complement your overall marketing strategy and your business goals at large. 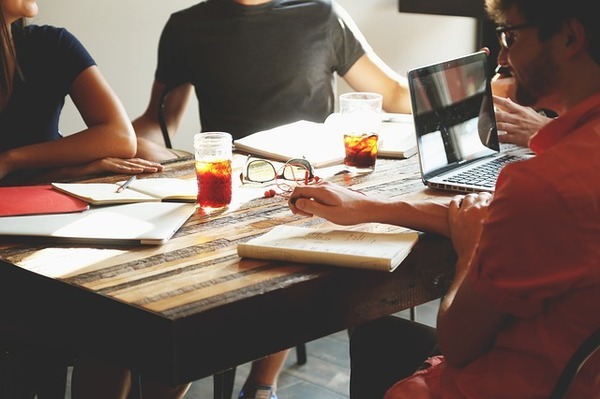 Get your team together to discuss your goals and how to make them specific. It is tempting to just say you want to increase sales or add new customers when setting a goal. However, this is a vague statement. You could technically increase sales by $1 and reach your goal, or you could double your sales and have reached the same goal. Instead, develop a very specific goal. It should be clearly defined and easy to understand by everyone connected to the project. This makes it easier to create a plan to reach the goal, as well as measure whether or not you were successful in your endeavor. An example of a specific goal is to use in your text message marketing program is to increase profits by 10 percent in the next quarter. In order to determine whether you are on target to reach your goal, you need to be able to measure your progress. This might be through analytics, accounting or other measures. You should be able to monitor the program and compare it to your goal at any point to see whether you are on target or need to make changes to get where you want to go. For your text message marketing program, you will use data from your analytics, such as open rate, conversion rate, and opt-in rate to measure your success. To make your goal measurable, include numbers that reflect these measurements. This might be to add 100 new users in the next month. You can measure that by reviewing your opt-in rate. The A in SMART goals stands for actionable. This means that you are positioned to take actions to fulfill the goals. To go from a vague goal to one that is actionable, focus on something concrete. Add milestones that help you take action to attain the goal. For example, rather than saying you want to drive more business, define it in such a way that you can take action with your text message marketing program. The goal stated above, adding 100 subscribers, is also attainable and actionable. There are tasks you can do to achieve it. Many of the components of SMART goals bleed into one another. For example, in order for a goal to be actionable or attainable, it also needs to be realistic. You cannot reasonably go from 0 subscribers to 10,000 overnight. However, it is realistic to aim to gain 100 in a month. Perhaps you might also be able to add a few thousand over the first few months. Although you might get to hundreds of thousands of subscribers, it takes some time to build to that point. That is where creating smaller goals and milestones will help you to follow through and meet your goals. How long will it take you to add 100 subscribers? The last key component of this type of goal is timely, or you might also define it as tangible or trackable. This means that there is a reasonable period of time in which you will be able to achieve the goal. It also provides you with a deadline to keep you and your team motivated. You might have other, long-term goals that will take years to meet. However, you will have smaller SMART goals that will help you to achieve them. When creating your text message marketing goals, whether for a specific campaign such as a holiday marketing strategy <> or your objective for adding the program to your marketing efforts, it is important to rely on SMART goals. This will help you to develop a better plan so that you will ultimately reach, and might even surpass, your goals. Contact us to learn more about how to incorporate your SMART goals with your texting program.